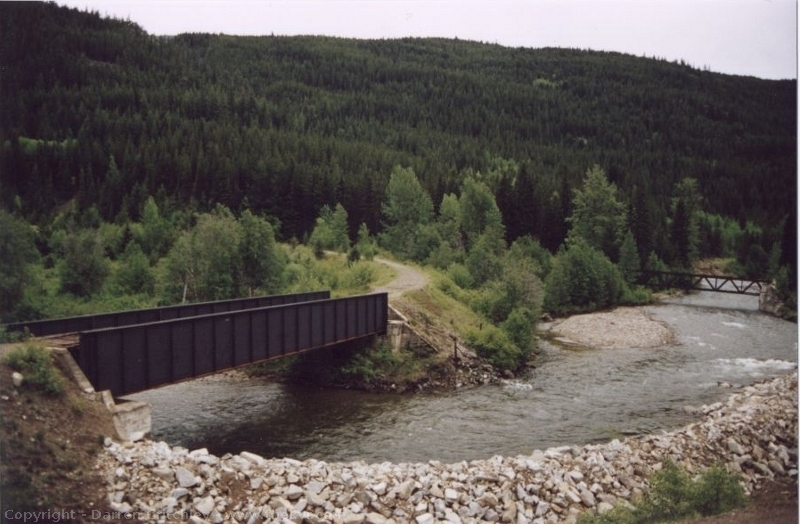 This is the Wye at Brodie which is just below the Larson Hill Exit (250) on the Coquihalla Highway. It is where the track splits, one branch goes to Merritt, and the other goes up the hill to Brookmere and then on to Tulameen, Coalmont , and finally Princeton. 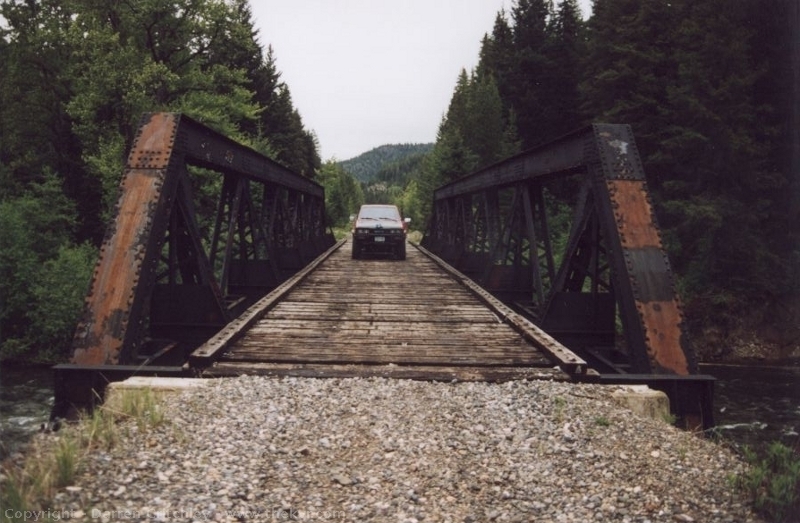 Also if you follow the railbed towards Merritt, you will eventually hit a road. Left on the road takes you to Kingsvale or turning right takes you up the hill to the town of Brookmere . 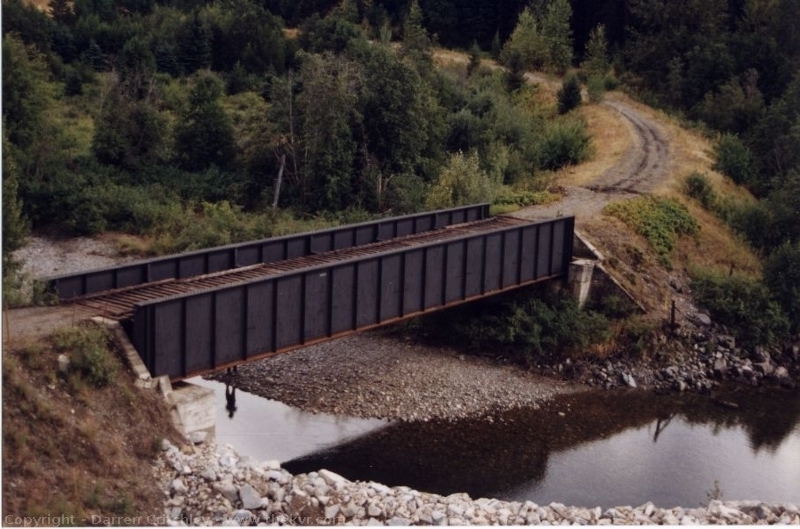 These bridges are no longer here, one of them fell into the river and was removed and eventually the other one was removed. 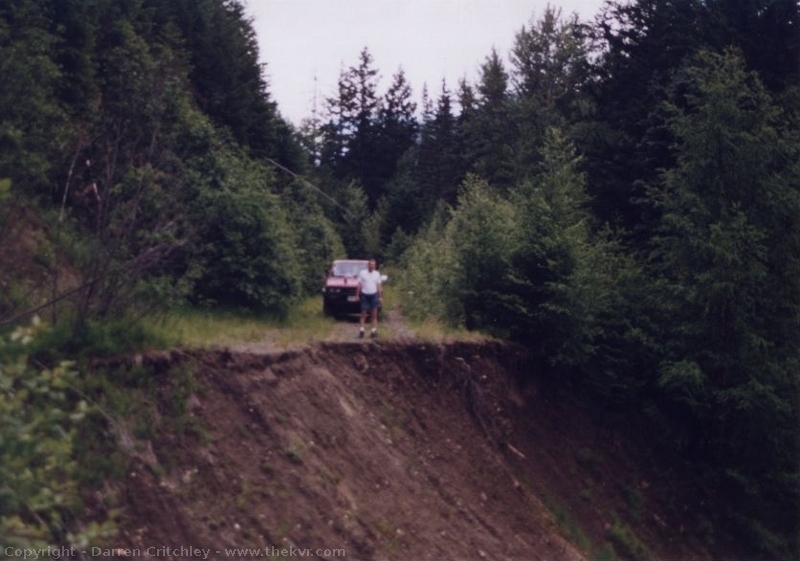 Also, here is one of the many hazards you come across when following an abandoned railway, Washouts! There are a lot of washouts in the Coquihalla Subdivision, I think more so than any other section I have travelled. There is safe passage around this for a human or a bicycle. That is how I was able to get this photograph. The Coldwater River is actually responsible for this washout, it is swirling in the bottom of this picture. 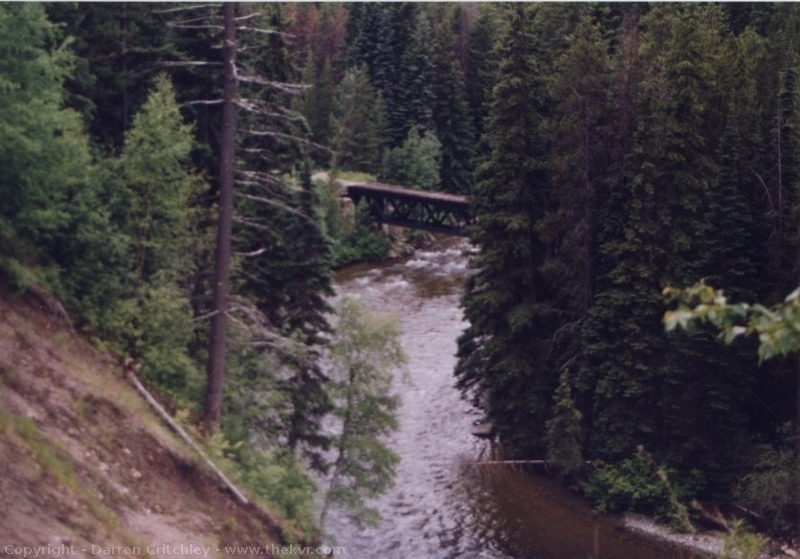 In this section, the railway crosses the Coldwater River a lot, which meant a lot of bridges. Oddly enough, very few of them are alike, there is a great variety to be found around here. 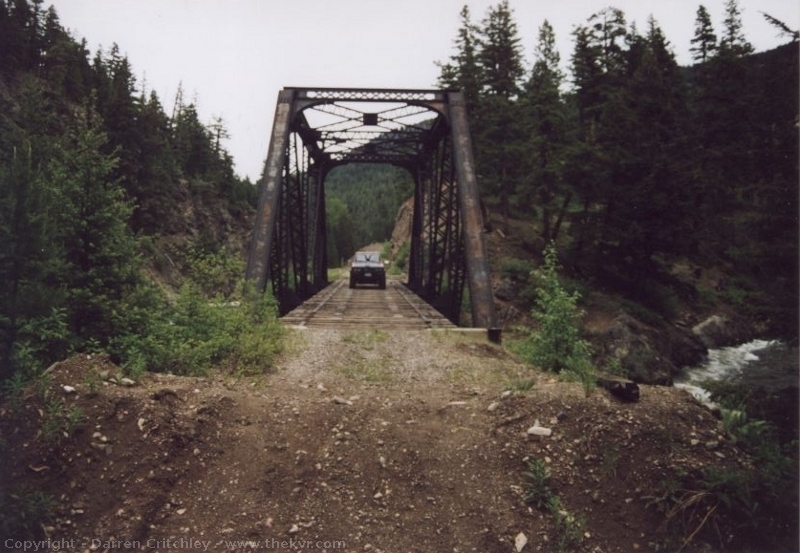 Another interesting thing, if you take the Coldwater exit off the Coquihalla Highway and drive towards Brookmere, you will find the old right of way and you will see Coldwater Bridge #8, a through truss design. If it is September, go out onto it and look into the water. there should be salmon spawning in the river below! Below are some images of the various bridges that can be found around the Brodie Wye Area. Here are some more pictures of the two bridges that used to be at Brodie Wye. I am not sure how people get across now. Anyone done this section in the last couple of years know how you cross the river to make it to Brookmere?